Home→Spending→Not being frugal – to spend or not to spend? Not being frugal – to spend or not to spend? I’ve been playing for nearly 5 years and I’m just about to take my Grade 4 exam. I love playing. It’s a way for me to relax and I love working away at trying to produce a better sound. I’m going to join the local community orchestra after my exam which will help with my sight reading. OH bought my violin for me a few years ago for my birthday. It’s a beginner’s model and wasn’t expensive but has a nice sound. My teacher has suggested that the time is beginning to come where I might want to start thinking about a better quality instrument as my playing improves. I would be looking at spending a few hundred £s. Obviously spending on a new violin is not frugal, but playing the violin falls into what I call the ‘richer life’ category. 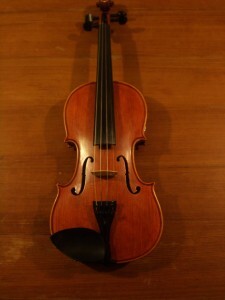 I don’t need a new violin, but playing is one of those life affirming activities. I haven’t decided what to do yet. I don’t need to make a decision right now as my current violin does the job. I’m not going to be a professional musician (unless the little band I play in takes off, but given that the average age of the group is probably 48 and we play folk music, I’m not banking on it!). What I have decided is that if I do buy a new instrument I will be saving up for it. I will put a small amount away for a while and then decide what to do later on in the year. Which hobbies are you really passionate about? Or have you changed hobbies to be more frugal?